Today, President Obama and Governor Perry will meet in Dallas for a roundtable discussion with local elected officials and faith leaders on the topic of immigration. The President will then travel to Austin for scheduled engagements. Gov. Rick Perry has appointed Dora G. Alcala of Del Rio to the Texas Higher Education Coordinating Board for a term to expire Aug. 31, 2015. The board sets policies and coordinates efforts to improve higher education in Texas. Texas Monthly has a new editor-in-chief, Brian Sweany. He most recently served as the senior executive editor for Texas Monthly’s political coverage. Franklin’s Barbecue reopens this week, revealing its grand expansion. Perhaps in the future it will only be a 2 hour wait for some delicious BBQ instead of the average 5 hours. 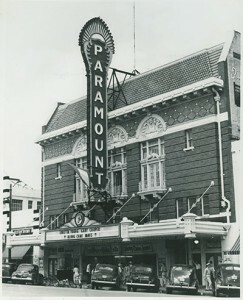 The Paramount Theatre, Austin’s oldest surviving theatre, will soon celebrate its 100th birthday. 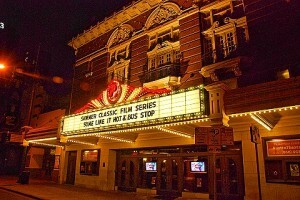 Back in 1915 it delighted visitors with vaudeville and variety shows. Today, The Paramount continues to entertain through film, live music, comedy shows, and presidential speaking engagements! If you’re a classic movie buff, you’ll love the Paramount Summer Classic Film Series going on now!